SUNDERLAND came from behind to beat Stockport County 2-1 in the FA Tesco National League Northern Division thanks to goals from Jess Clark and Jess Havelock. Newcastle United kept their first clean sheet since April when they drew 0-0 at Manchester City while a late goal from West Auckland Town striker Chloe Mackay prevented bottom club Hull City from picking up their first win. Jade Ridley and Vicky Mudd both scored twice as Peterlee Town hammered second-bottom Salford 7-0 with Leanne Kemp, Jules Brown and Claire Bridgett also on target. Whitley Bay knocked Blyth Spartans out of the Northumberland County Cup with a 2-0 win. Laura Darmody opened the scoring after 15 minutes and then added the second following a Karen Mulliner error just before half time. Darlington RA drew 3-3 at Yorkshire outfit Morley Spurs in their top-three North East Regional League clash, while Pelton Newfield replaced Spennymoor Town at the top of the first division following a 4-2 win over the Moors. 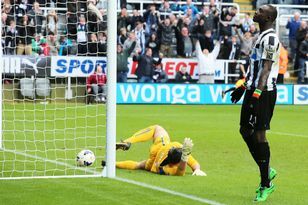 NEWCASTLE United and Sunderland both had high-scoring away wins in the FA Tesco National League Northern Division. Does this country need more supermarkets? NEWCASTLE United crashed out of the FA Tesco Premier League Cup 3-0 at home to top-flight leaders Bristol Academy, while Sunderland were given a bye into the third round.